Babies love to play! These games will not only be fun, but help develop early skills and encourage bonding. 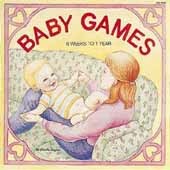 Lap games, exercise games, rocking and bouncing games to share are set to familiar children's songs. Guide with lyrics and activities.